OK, a brief story related to the subject of yesterday’s post. Obviously, this photo is from duPont Registry. I hope I am not violating copyright laws. I always credit the source of a photo unless I have taken it. 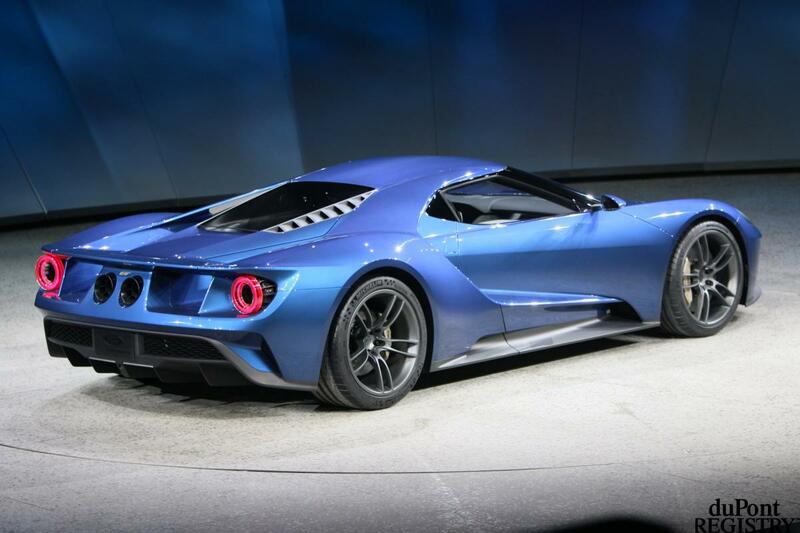 This is the newest generation Ford GT. In general, I am not a fan of the company from Dearborn because of the virulent anti-Semitism of its founder. However, flexibility and adaptability are often good traits. In a recent episode of The Grand Tour, Jeremy Clarkson raced Richard Hammond and James May from Central Park to Niagara Falls. Clarkson, of course, was in a car—the Ford GT—and Hammond/May had to take non-automotive transportation. Almost all of these “race” segments, which date back to Top Gear, are very entertaining, but I do not believe the outcomes are “organic.” I’m kind of cynical, though. Although Clarkson said the ride was harsh and the interior was loud, he said he loved the car and called it a true track car for the street or something like that. The GT is powered by a twin-turbo (I love that phrase) V-6 engine (not a typo) that creates 647 HP and 550 LB-FT of torque. The car is very light, weighing not much over 3,000 pounds. It is supposed to be able to accelerate from 0-60 MPH in 2.8 seconds and capable of reaching a top speed of 216 MPH. Ford built about 4,000 models of the GT reboot of 2005. The new generation of GT is even more exclusive; I think only 500 will be built over 2-3 years, a person has to be invited to buy one and must agree not to resell the car. Also, the price is about $400,000, not exactly a vehicle for the F-150 market. If you’re a Hemmings reader who is here from a link please consider bookmarking the site (https://disaffectedmusings.com), becoming a regular reader, commenter, etc. Thanks.